An Oa is named after the Mull of Oa in the south west of Islay, which offers the Kildaton coast (where Ardbeg distillery is situated) some protection from the worst the Atlantic has to offer! 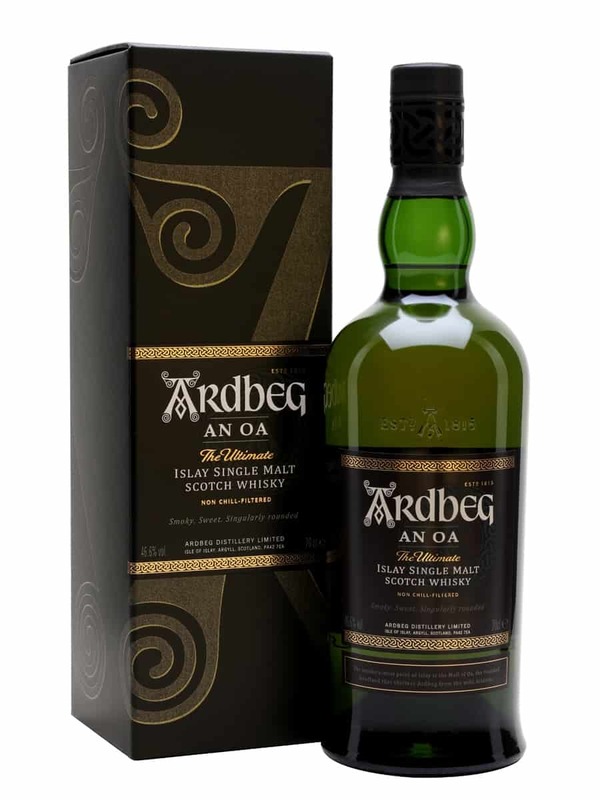 As such, An Oa is intended to show a more approachable side to Ardbeg single malt that’s as rounded as the Oa peninsular, without losing the characteristic distillery style. In the summer of 2017 this became the first addition to Ardbeg’s core range in over a decade. Maturation took place in a combination of casks including Pedro Ximénez, charred virgin oak and ex-bourbon, which were all brought together to marry in Dr. Bill Lumsden’s new ‘Gathering Vat’!